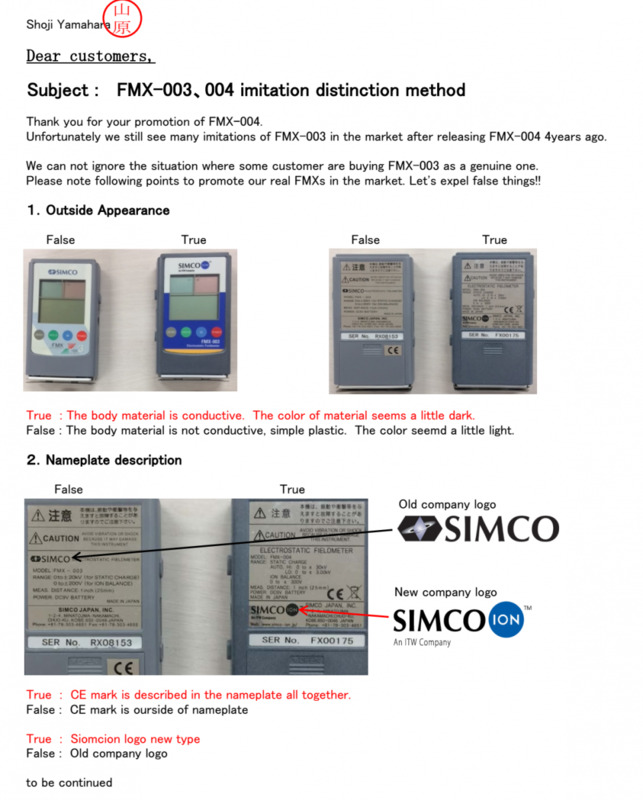 The FMX-004 fieldmeter is a compact electrostatic fieldmeter used for locating and measuring static charges. Its pocket size and three-button operation makes it convenient and easy to use. Lightweight, compact design Range light assures accurate and repeatable measurements Automatic range switching up to ±30 kV (30,000V) Digital and bar graph display with +/- indicators Automatic power off with inactivity The FMX-004 also offers an optional cable and bracket kit for Analog output. This feature allows you to extract and monitor your data. The Analog output bracket enables the fieldmeter to be mounted in order to collect continuous reading. The Analog signal can be used with a PLC, data acquisition card, data logger, chart reader, etc. The FMX-004 also offers an optional cable and bracket kit for Analog output. This feature allows you to extract and monitor your data. The Analog output bracket enables the fieldmeter to be mounted in order to collect continuous reading. 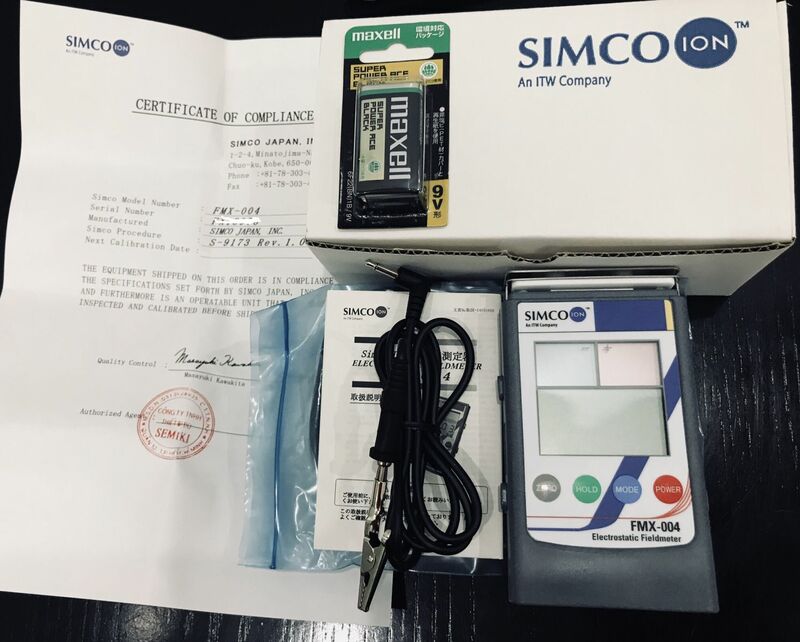 The Analog signal can be used with a PLC, data acquisition card, data logger, chart reader, etc. There are a variety of ways to get in touch with the Precision Measurement Professionals at Semiki Corp. Please use the contact information on this page : www.semiki.com to get in touch with us.